Author Liz Duckworth performs as Poker Alice Tubbs, a renowned wild west gambler. Poker Alice Tubbs was a professional gambler who played her cards in boom towns throughout the wild west. Her stories of risk, and reward reveal the gritty history of towns like Creede, Leadville, and Central City in Colorado, Silver City in New Mexico, and Sturgis and Deadwood in South Dakota. A lot of tales that “ain’t entirely true” have been spread, but Alice’s real story is even better than the tall tales you might have read. Join me, Liz Duckworth, an author, researcher, re-enactor, and devoted fan, and see the real west through the eyes of a lady gambler. Gravesite of Poker Alice Tubbs in Sturgis, South Dakota, St. Aloysius Cemetery. She’s gone but not forgotten! Poker Alice may have passed away in 1930, but she lives on in the lives of fans like me. I just love the true story of her life, and even lots of the not-so-true tales that have grown up around her legend. If you are a fan or want to know more about her, keep visiting for new blogs and keep an eye out for a new book about the life of Poker Alice Tubbs. Filter Press will release Poker Alice Tubbs: the Straight Story later in 2018. Anyone who is fascinated by the history of the Wild West will enjoy getting a detailed look at this lady gambler who played it her way—all across the West! 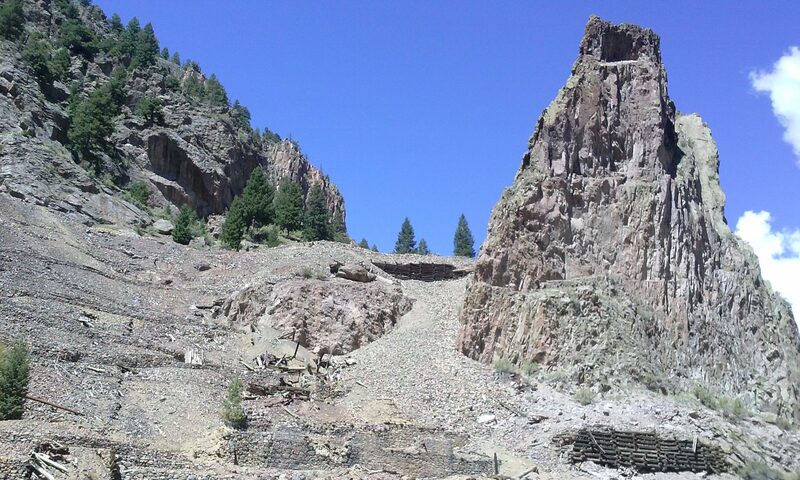 The landscapes on this site show stunning Willow Creek Canyon, just north of Creede, Colorado. Here, more than 120 years ago, walked Poker Alice Tubbs as she “made her stake” at the card tables of Creede’s casinos. She climbed the mile above Creede to win her hands in the aptly-named town of Bachelor, too. I hope you get a chance to see this beautiful canyon, drive up Bachelor Loop, and visit the remains of once thriving silver mines. If and when you visit the town of Creede, you’ll be welcome on streets of a lively and still entertaining place. Eat some great food there, meet friendly locals, and see a show at the Creede Reperatory Theater. Stop by the museum and say hi to folks from the Creede Historical Society! To learn more, send an email to: LizabethDuckworth@gmail.com. Bring history to life and discover what it means for our lives today!